Praveen Lata Sansthan sent us the following note and pictures. 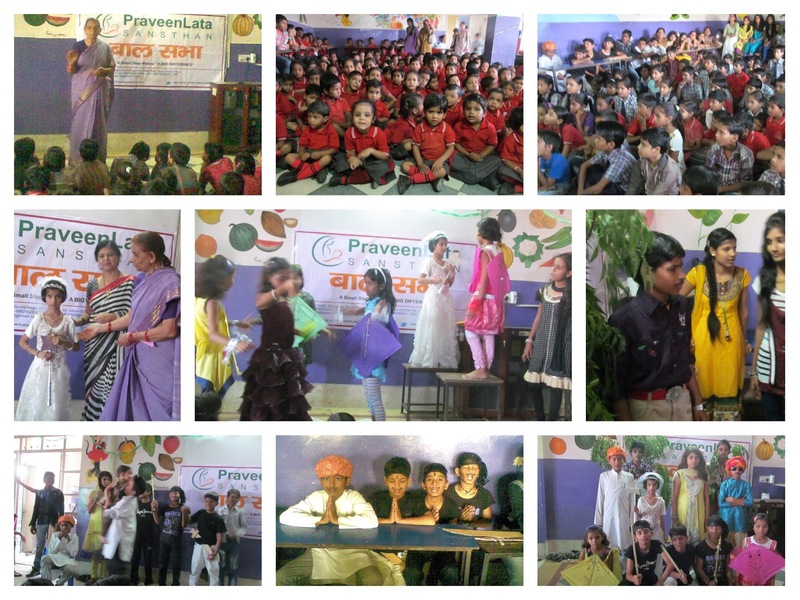 PraveenLataSansthan is a Jaipur based Non-Governmental Organization. The Primary focus of PLS is on the problems of the poor in their struggle to obtain a life of justice and dignity & Environment stabilization, food security and empowerment of the community for self-governance. Primary areas of concerns are to work for Child Welfare, Women Empowerment & Rural Development. Inititally when we opted for opting for story telling session we felt we will conduct 2 sessions and we will be able to touch only 50 children. But we aimed to touch as many as possible. 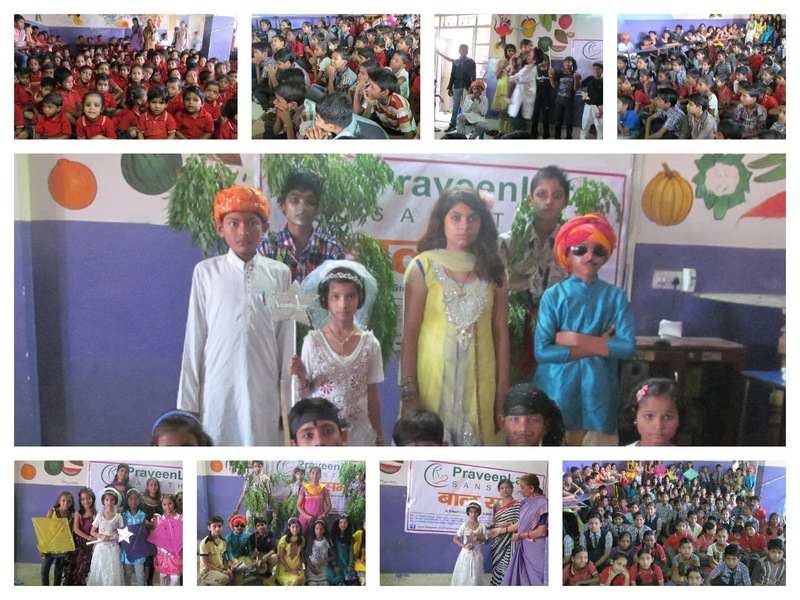 Than we planned to take it through Bal Sabha which we organize in communities and schools. We spoke to the School authorities and they agreed to it. We took it to 3 days program (Balsabha) with support of PRatham Books and it was appreciated by School authorities & Newspapers. 4. Childrens were dressed up as per character. 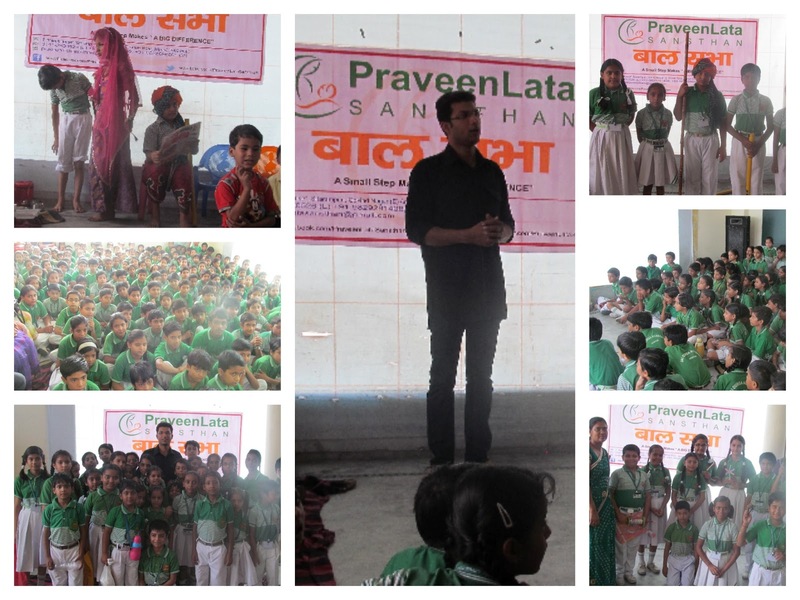 Thank you Praveen Lata Sansthan for spreading the joy of reading!